Happy Chinese New Year 2019, the year of the pig! 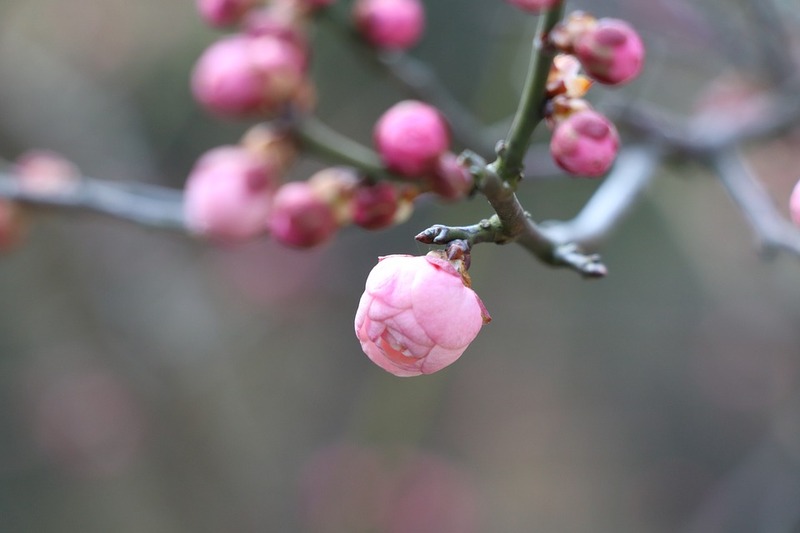 After sweet Christmas carols, fairy lights and juicy turkey, January and early February can feel a little colourless. When the tinsel and glittery lights have been packed away; Santa Claus is busy travelling back to the North pole, we realise these Christmas celebrations are well behind us. But don’t you forget another festival is just around the corner waiting for us! 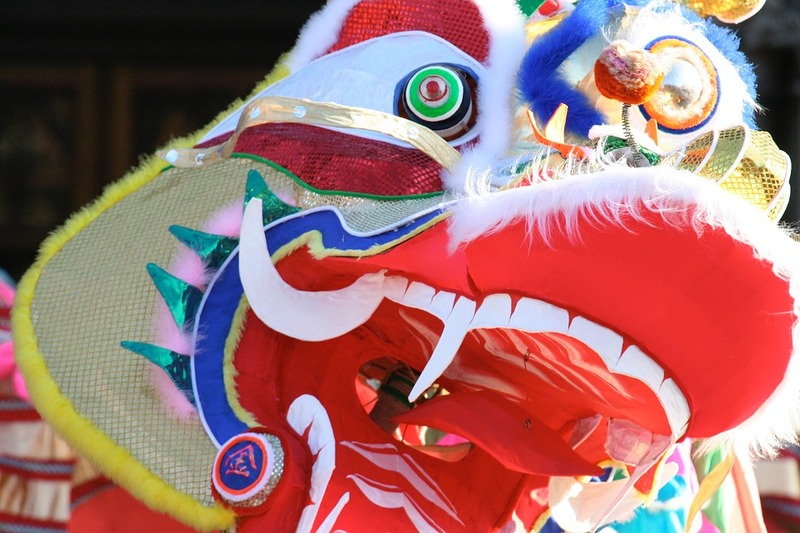 All around the world, millions of people are preparing for Chinese New Year. 2019 is the year of the pig, and it falls on 5 February. Which animal are you in the Chinese zodiac calendar? As people know, Chinese New Year runs on a cycle of 12 years with each represented by an animal. Each animal has its own personality and characteristics. This year is the year of the pig, which represents enthusiasm and realism. You can find more interesting Chinese zodiac information here. Chinese New Year is also known as the Spring Festival and the Lunar New Year, the celebrations can last for up to 15 days. Just like Christmas, the festival celebration is about love, fun and family reunion. At Gretna Green, we’re all about love and family, so we are getting excited for the Year of the Pig. This year, we invite you to join us to celebrate the festival from 5-19 February 2019. We are preparing special decorations and an extra special red envelope lucky dip! Whether you are an overseas student who has a Chinese background or you are just interested in Chinese Culture, Gretna Green invites you to celebrate this festival with us. Instead of receiving wrapped presents as we do at Christmas, In Chinese New Year, children are given red envelopes by family and friends. Red envelope represents good luck and fortune. Traditionally, Greetings and good wishes are written in gold letters and used to decorate the envelopes. In celebration of this tradition, at Gretna Green, we’ve made our own red envelops for you to pick up. 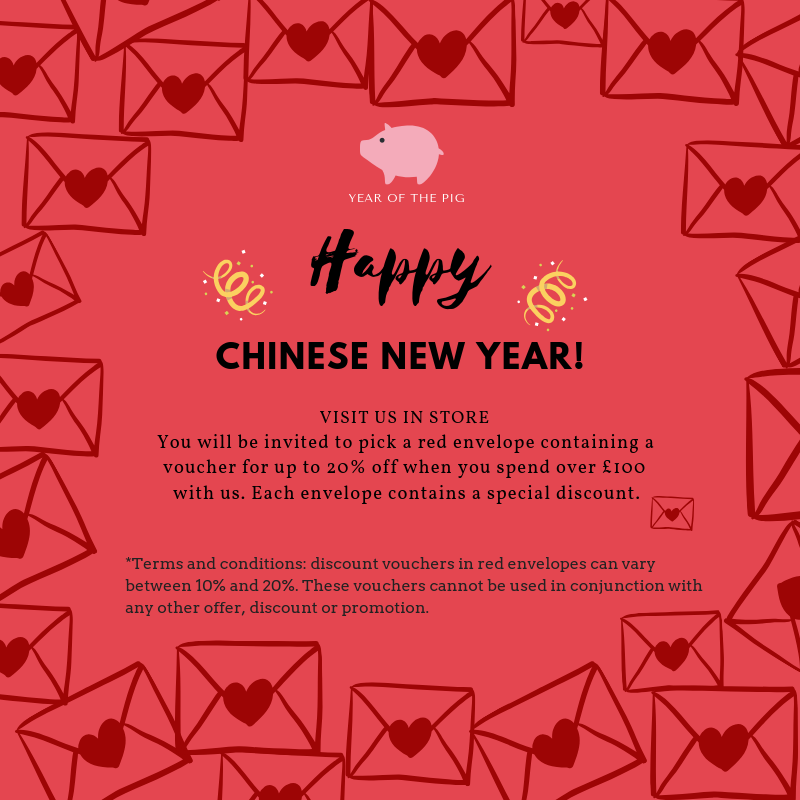 When you spend over $130.10, you will be invited to pick up an exclusive red envelope which contains a discount voucher for up to 20% off your purchase. Each envelope contains a different discount so visit us and try your luck!